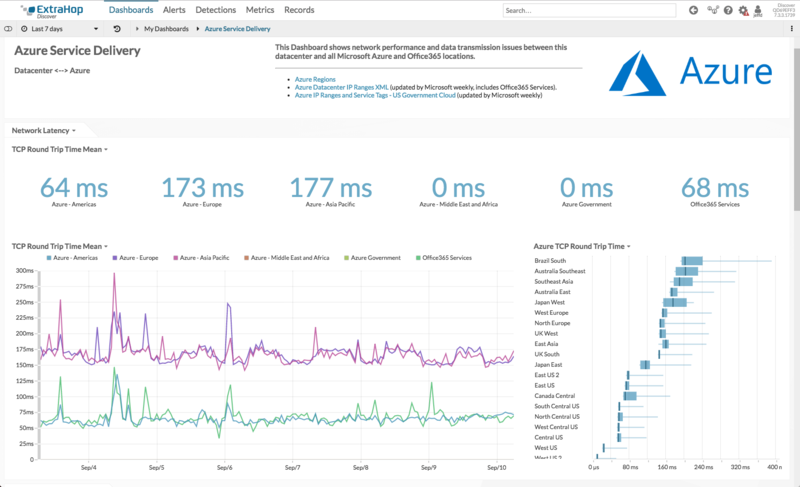 This Bundle contains tag-based dynamic device groups and a dashboard to measure network latency and data transmission issues between your datacenter and all Azure Regions and Office365 Services, including Azure Gov Cloud. This Bundle assumes you&apos;ve created Custom Devices for each Azure Region / O365 service and grouped them appropriately. Upload and Apply Bundle. This will install the Dashboard and Tag-Based Dynamic Device Groups (but not Device Tags). Note the Device Tags that define the Device Groups. Create these Tags manually. Tag the Custom Devices appropriately as they get &apos;discovered&apos; by the EDA.